Newcastle Beach Hotel is located in the ever evolving, historical east end of Newcastle, just minutes walking distance to two stunning beaches, Newcastle’s hustling foreshore and boardwalk restaurants and is a 10-minute walk from the Newcastle Port and the Nobby’s Lighthouse, one of Newcastle’s iconic landmarks. If you’re an early riser, the best way to start your day is with a trip to the Newcastle Baths, less than a ten-minute walk from Newcastle Beach Hotel. Beautifully situated along the water, the Baths are teaming with locals and provide a stunning backdrop for a refreshing morning swim. Offer subject to availability, book early to avoid disappointment. Exclusion dates; Xmas holidays, Easter Holidays, Long Weekends, public holidays and special events as deemed special by the property. All offers subject to allotment availability. Rooms are on an unserviced basis. For Bookings please call (02) 4926 3688 and quote your Oceanroad Voucher number. Voucher should be left in your room on departure. 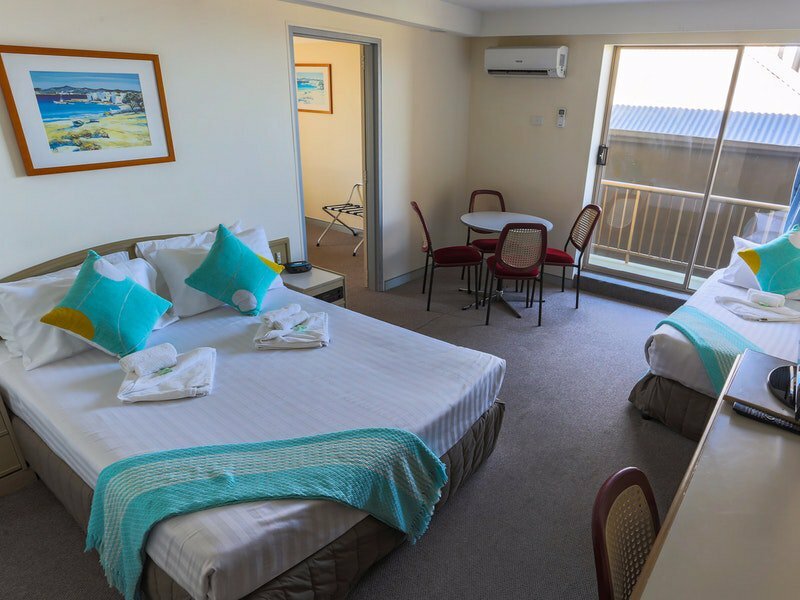 Newcastle Beach Hotel is a keyless property. ENTRY INFORMATION INTO THE FRONT GLASS DOORS AND YOUR ROOM DOOR WILL BE EMAILED AND SMS ON THE DAY OF YOUR ARRIVAL. The property has a communal Guest laundry, vending machines, communal lounge area with a microwave.